Home Kids and TeensWhy are teeth crooked? Parents often ask “why are my child’s teeth crooked?” Unfortunately, there’s no one-size-fits-all answer to this question. Teeth can develop incorrectly for a number of reasons, including but not limited to, genetic influences, jaw growth deformities, patient habits, obstructed airways/ chronic mouth breathing and other serious oral health conditions. When crowding occurs due to extra teeth, abnormally large teeth or small jaws, genetics often plays a significant role. When we consider that we get 50% of our genetic makeup from one parent and 50% from the other, it is little wonder that sometimes the teeth and jaws do not match correctly. Many orthodontic problems such as underbites, overbites and crooked teeth are heavily influenced by genetics and in most cases can’t be avoided, but can be corrected. More serious dental and facial growth problems such as an upper jaw that is growing much slower than the lower jaw will warrant early orthodontic intervention. These problems should be assessed by a specialist Orthodontist by the age of 7-8 years. Minor bite problems and dental crowding should also be assessed early but can often be monitored for a few years before being treated easily and predictably as one phase of treatment during the pubertal growth spurt years. If a baby tooth is lost due to trauma, or extracted due to tooth decay or infection, it is important that you see an orthodontist for advice and possibly the placement of a space maintainer to prevent the loss of space. A thumb sucking habit after the front teeth have erupted can also impact a child’s teeth – pushing the front teeth forward or possibly creating an open-bite. It’s important to note that there are usually no ill-effects from thumb sucking in early childhood and most children naturally give up the habit somewhere between 2-4 years of age. However, if thumb sucking continues past the age of 6 or 7 (when adult teeth are coming through) there can be misalignment of front teeth and narrowing of the upper jaw which may require jaw expansion plates and braces. It’s therefore very important to break a thumb-sucking habit while the child is still young. 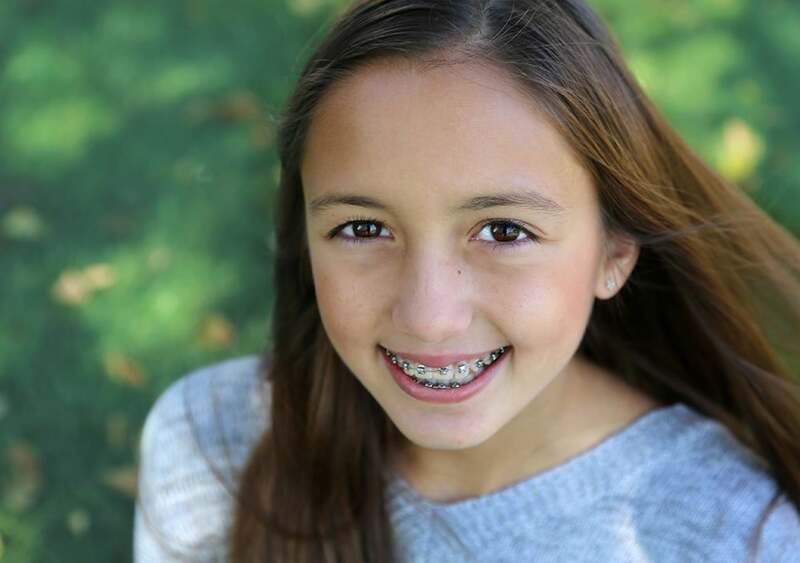 While the temptation may be to wait until your child is in their teen years to begin orthodontic treatment, early child orthodontic treatment can be beneficial in many cases. The use of spacers can help stop overcrowding by ensuring there is enough space in the mouth for new teeth, while a plate can help guide jaw growth during their formative years. This will mean that less extensive treatment is required at a later date to correct bite and jaw alignment. Still unsure why your child’s teeth are crooked? Orthodontics Australia recommend children between the ages of 7-10 years visit a specialist orthodontist for an assessment, no referral from a dentist needed.